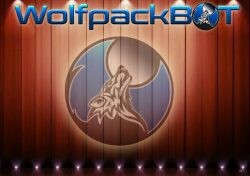 WolfpackBOT seems to be a highly advanced cryptocurrency trading software. What are its advantages you may ask? One, that comes around first, is its speed. The platform allows the trade execution at lightning speed, thanks to the use of advanced trading algorithms, proprietary “Werewolf” Trading Analysis configurations, and also user-customized settings. This setting is then based on the personal trading style of each user. WolfpackBOT’s “Wolf Trade” platform is capable of providing superior market orders with a bite! WolfpackBOT claims to be the only trading bot that features price scanning in real time on positions, and can easily handle partial fill. You don’t have to miss out on orders anymore. As a bonus, the bot is super fast and can manage up to 10,000 (Yes! Ten thousand!) trades a day under proper circumstances. The highest subscription plan costing $100 paid in WOLF (yet another interesting thing, their subscription plans are paid in their own cryptocurrency) enables trading access to all available (available to the BOT, not to the market) cryptocurrency exchanges, and all trading pairs. Another impressive feature is allowing the simultaneous trading with all those compatible exchanges and pairs with the appropriate subscription package. The platform provides its users with 3 different subscription packages, PupBOT, WolfBOT and WerewolfBOT, each with its own specifications you can view at their home page, in a section „Subscription Packages Pricing“. Is one platform not enough for you? WolfpackBOT allows simultaneous trading on BitMEX, Binance, Bittrex, KuCoin, and Poloniex, with all the exchange’s trading pairs available for trading. And that is not all, creators promise that more Exchanges are going to be added regularly. Are you tech savvy or simply want to keep on tracking your trades? Wolf trading platform has to offer a whole array of Multiple Technical Analysis indicators, oscillators, configurations, settings, …. all in the world of Automated Cryptocurrency Trading Bots. It provides Bollinger Bands, Double EMA, Elliot Wave, EMA, EMA Cross, Fibonacci Sequence, KAMA, MA Cross, MACD, RSI, SMA, Stochastic, Stochastic RSI, Triple EMA, and even more. What is it to „sell short“? To sell your „stock“ short, you follow four steps: Borrow the stock you want to bet against. Find shares of the stock you think will go down and request to borrow the shares. Return shares to the brokerage you borrowed them from and pocket the difference. 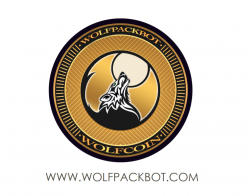 And WolfpackBOT provides just that, allowing users to short their positions and buy them back, thus reducing time and costs connected to the value differences over time. But Wolf didn’t stop there and is also offering Crash Protection. This feature should enable users to „the option to automatically scan and convert all positions to a stable coin at the sign of proprietary Hidden Bear Divergence Indicator, and then buy back into base currency to resume trading at the sign of proprietary Hidden Bull Divergence Indicator“, says the Wolf representative. Quite often automated trading platforms enable the user to trade a limited number of coins per account. And that is yet another of Wolfpack’s perks, as it enables all trading pairs and all coins to be traded on all available exchanges. This makes the Wolf stand out tall among his competitors. Furthermore, WPC‘s proprietary Coin Selector enables an option of whether to trade all cryptocurrencies and tokens or blacklist some. Furthermore, if to search for the highest volume, greatest performing, or a specific volatility range over time. As a part of the platform‘s teaching program, it shares knowledge among users from all trading backgrounds. It teaches them the ability to start trading with WolfpackBOT’s Trading Software in just a few simple steps. The main user interface of BOT includes Dutch, English, French, German, and Spanish. Not all features are in every language, so we warn users to look alive before using a platform, to make sure features they need will be served in their language. The language change is pretty simple and straight forward from the World Language Globe icon. There, users simply pick the desired language and the BOT shall be translated. And again, even here creators promise that more languages will be added to future releases. An industry first, an automated crypto trading console, named after the platform, The WolfBOX. This piece of hardware allows the full utilization of a bot subscription without a VPS or dedicated computer. As authors say, The WolfBOX will also include a built-in secure Hardware Wallet and RFID card reader to optimize ease-of-use and functionality. It is lightning fast, and is designed to howl when your WolfpackBOT makes a trade“. The box itself has then embedded logo with glowing eyes, cooling the trading atmosphere. What else to find at Wolfs‘? Needless to say, there are tons of other features worth mentioning, but due to the sheer scale of the whole operation, here we add just some honorable mentions before closing the feature list. 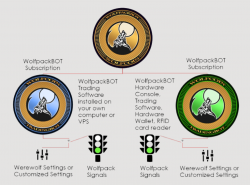 Furthermore, unless you are a core user, you might not be familiar with all the features and their potential benefits, and you can always find more at the site of the creators https://www.wolfpackbot.com/. Security for Wolf is very important, and creators choose a unique way to achieve it. The very standard bots often allow limited access to one exchange and one trading pair per bot, and, furthermore, they store your API keys at remote servers. Those are then potentially vulnerable to cyber-security issues, such as to hacks and pump and dump attacks. User security and API key protection are on the top of the security list, which is why the platform features the only trading bot giving a user full control of their API keys. To start from the beginning, the Wolfcoin is a utility fungible coin that can be traded once listed on cryptocurrency exchanges. This basic feature, in combination with the Proof of Work mining and Masternode reward system, creates an ecosystem of Wolfcoin and related products, where the coin itself is more attractive to all users interested in earning more of masternodes. This can be then used towards subscription discounts and rewards. But what more are those masternodes good for? In an addition to fairly standard Proof of Work (PoW) rewards for mining the coin, users are rewarded for running and maintaining masternodes. Masternodes are secondary currency used to power other platform features, such as Private Send, Instant Send, and a governance system. The owners of masternodes are then obliged to hold 10,000 WOLF in their platform wallet, which is then proven by the wallet as it signs a message and broadcasts the info to the network. Coins, of course, can be then spent, yet beware, as their spending will disable the masternode status and its perks. So again and from a different angle. What are those masternodes? 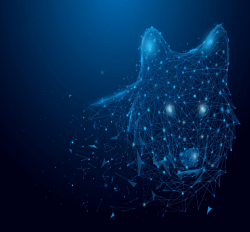 A masternodes are servers with a full copy of the Wolfcoin blockchain guaranteeing a minimum level of power to perform related tasks, connected to the block validation, Private Send, and Instant Send. Accounts with this status are then masternodes, and they are rewarded for this service, using a concept of Proof of Service. Anyone could possibly become a masternode operator, which is the blockchain‘s objective, to have enough decentralization to make sure no one is able to control a significant fraction of masternodes. 4/5 of the blockchain rewards are paid to the masternodes and 1/5 to miners. Masternodes are randomly selected as rewards, and the more masternodes are there, the longer duration between rewards exists. Furthermore, the selection algorithm ensures that there is always a random aspect in the reward system, which doesn’t seem fair for short term users. The platform creators promised that the long term investors won’t regret, as by the theory of large numbers the distribution of masternodes shall remain constant. 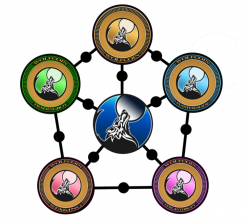 Thus masternodes serve as an additional incentive to provide reliable services to the network, alongside an aspect of having multiple servers all around the world, working 24/7. This feature allows WOLF to complete transactions nearly instantaneously in the same manner as credit cards, while traditional cryptocurrencies are obliged to wait for a given period of time to make sure a transaction is both irreversible and not an attempt to double-spend. This takes time, but there are other approaches. Some of more modern ways include centralization authority for confirmation tasks. In the case of Wolf, it works differently. Masternodes check whether or not a submitted transaction is valid. If it is valid, the masternodes lock the inputs for the transaction and share the info with the network. This allows for a transaction to proceed quickly, preventing the blocked resources to be spent twice. The company reserves a part of its revenue to fund philanthropic endeavors. However, it doesn’t say how big the part is. Furthermore, the company accepts donations in Wolfcoin and other Cryptos to help to fund charitable projects, and promises to match the donations ‘dollar for dollar’. The section of the trading company, called „Wolfpack Philanthropy“ claims, that it is dedicated to the responsibility to use a portion of the company’s profits to help create a better world and a brighter future. „As we move forward, our philanthropic efforts will include environmental stewardship, renewable energy, human rights, economic development, as well as animal and wildlife rescue and conservation,“ Wolfpack states. 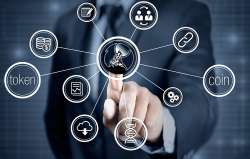 Wolfpack Philanthropy focuses on the financial systems from all over the world and plans to help change the way people see Cryptocurrencies and money. If it is going to work, or if the company will switch to a path of corporate greed, we shall see in the coming years.